The mission of Ronald McDonald House Charities is to create, find and support programs that directly improve the health and well being of children and their families. We believe when you change a child’s life you change a family’s, which can change a community and ultimately the world. As pioneers of providing family-centered care, RMHC strives to be part of the solution in improving the lives of children and their families, providing programs that strengthen families during difficult times. Through the strong network of RMHC Chapters around the world collectively we are able to identify needs and carry out the RMHC mission on the ground. However, we cannot do it alone. We rely on our strong relationships with the medical community to provide access to health care. We rely on the RMHC Mission Partner, McDonald’s; including the corporation, owner/operators, suppliers and customers, as well as other important corporate partnerships. Additionally, we rely on strategic alliances with organizations that have the knowledge and infrastructure to extend our reach. Most of all, we rely on you – our donors, volunteers, staff and friends. 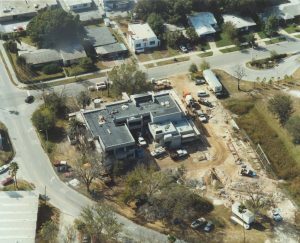 Since opening our doors in 1980 as the first Ronald McDonald House in the State of Florida, we have grown from one to four Houses serving both sides of Tampa Bay. Our four Houses provide a total of 80 bedrooms per night to families receiving treatment at Johns Hopkins All Children’s, Tampa General, St. Joseph’s Children’s and Shriners hospitals and other local pediatric care centers.